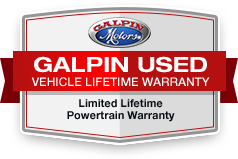 Serviced here at Galpin, Originally Sold at Galpin, NEARLY New EDGE AT USED Car PRICE Serviced here at Galpin, Originally Sold at Galpin, NEARLY New Car AT USED Car PRICE. Oxford White exterior and Ebony interior, SEL trim. FUEL EFFICIENT 29 MPG Hwy/22 MPG City! CARFAX 1-Owner, Spotless, Low MILES - 2,004!